Get some good deals on laundry items at Walgreens.com! 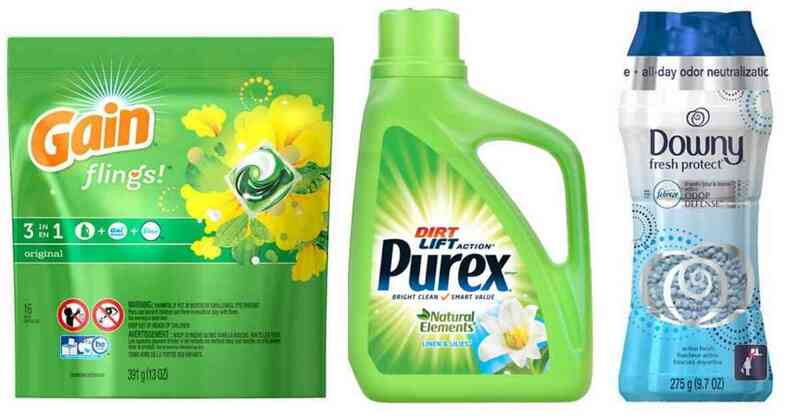 They’re offering a sale on select Gain, Downy, and Purex detergent products and you can also clip online coupons. Note: You need to be signed in to your Walgreens account to get the clipped coupon savings. Makes it $3.29 ($1.64 each)! There are lots of deals available, so browse the website to find your favorite products. Shipping is FREE with orders of $35 or more or choose ship to store to avoid shipping costs (only available on some products). The coupons are valid through 10/28. The sale prices are valid for a limited time.